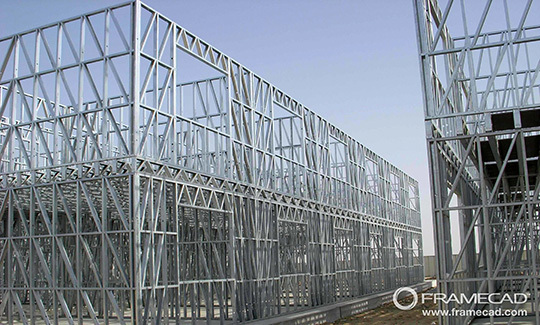 The FRAMECAD® System is a modern method of rapid, quality construction using light-gauge steel framing. An advanced, end-to-end design and build solution, the FRAMECAD System is designed to suit a wide range of projects that demand the rapid delivery of a quality building. FRAMECAD cold-form steel construction (CFS) meets demand for more efficient and affordable building applications for large-scale commercial, military, industrial and institutional projects to low- or mid-rise residential buildings where erection is completed in a fraction of the time over traditional construction, creating better ROI and value. October 2016 marked the completion of the erection of Mariposa VII, a seven-story multifamily building completed in a quarter of the time.